The turtle makes an appearance for the 6th year in a row. 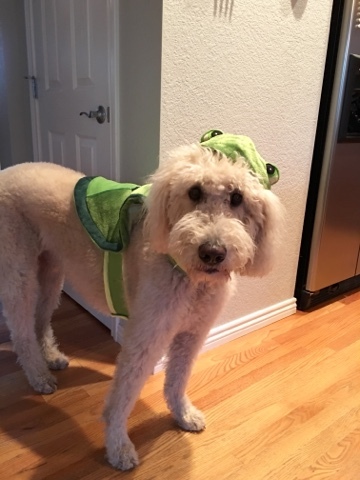 It barely fits and is probably the least creative dog costume ever. Mr. B reminds me every year. Yet he is also the one that dresses him in it and walks him around the neighborhood. Maybe, just maybe you'll be something new next year, Monty. Something you can smile about.